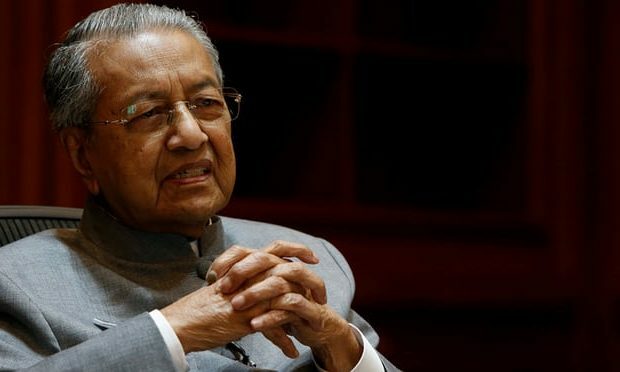 The Malaysian Prime Minister Dr Mahathir Mohamad has repeatedly asked the world to look into the root cause of terrorism. He also said that terrorism will end if Palestine is recognised and Israel is stopped. Israel is a Jewish state as their lawmakers passed the bill in 2018. “Israel is a nation state of the Jewish people, and respects the rights of other citizens”. Israel Prime Minister Benjamin Netanyahu said in July 2018. Does that sound familiar, Dr Mahathir? Doesn’t that sound like what we have in Malaysia? The Malaysian Constitution puts Malay and Islam as special but respects the rights of others to freedom of religion. And now we have the white-Christian supremacist in New Zealand. This is nothing new but the massive killing at a mosque made it well-known. We have the Ku Klux Klan or the KKK in the United States. While they have been fairly quiet, white-Christian supremacism have been given a new breath of fresh air by Donald Trump. They want the immigrants out, they want the Mexicans blocked from coming in. Trump wants to build a wall. The Israel has walls too, ahem. What about the Malays? We don’t have walls but we have always had this mental barrier against accepting others as our equals. We always see ourselves as above the rest in every sense. We used the poor Malays as an excuse to justify affirmative actions even though we know such actions will only enrich the already rich. We use religion to justify our supremacy. 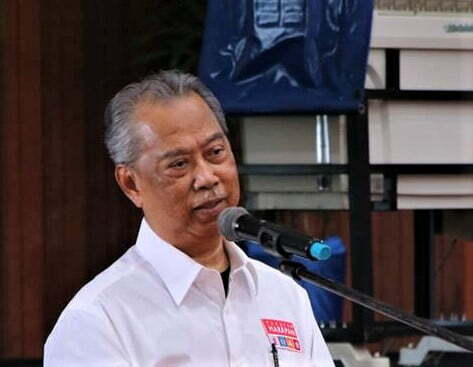 There are calls for the leadership to make a declaration that Malaysia is an Islamic State or a Muslim State. How different is this compared to what Israel did in 2018? We are not doing anything to prevent ourselves from becoming Israel. We are on our way to become the Islamic State ala’ Israel. We are harbouring a wanted hate preacher from being brought to justice. This is a preacher whose speeches inspired acts of terrorism in some parts of the world. Isn’t such inspiration a root cause of terrorism? The same hate preacher had misused the Quran to misled Muslims into not befriending Christians and Jews. Zakir Naik had in Malaysia and Indonesia misled Muslims to not vote for non-Muslim leaders in elections. He preached that Muslims should vote for Muslim leaders even though there are better non-Muslim leaders. He preached about choosing Muslim parties that ally with less non-Muslims. If this verse is to be read literally, then yes, Muslims must not take non-Muslims as allies. But Quran cannot be read literally without knowing the context of the verses. Each verses do not stand on its own. One must understand why those verses were revealed. All 3 verses above were revealed during war. These are war verses. In war, you’re not to trust allies with conflict of interest. In times of war, it’s kill or be killed. That is not rocket science. And yet we have Zakir Naik misleading Muslims by using Al Maidah 51 to discourage them from voting non-Muslims. That verse was a war verse. It has nothing to do with elections during peaceful times. And so why are we protecting this preacher who basically campaigned for the then Barisan Nasional government that we despise so much? What Zakir preached basically give more legitimacy to the UMNO-PAS alliance that we condemn but yet we protect him. Such act will only invoke fear to the non-Muslims. This is how fear of the unknown turn into Islamophobia. They don’t know Islam and so they fear it. And then Muslim preachers confirm their fears. Islamophobia have killed Muslims. But who create Islamophobia if not Muslims themselves? Isn’t that a root cause of terrorism? And then we are welcoming back ISIL terrorists. While other countries have stripped off the citizenship of those who joined ISIL, Malaysia is welcoming them with the only condition that they go through one month of rehab? Why? These are war criminals. Malaysia acceded to Rome Statute recently so we can prosecute war criminals but we ourselves are welcoming back war criminals? And back to Israel Palestine, how will there be peace when Muslims in Palestine believe Al Maidah and cannot take Jews as allies as per Al Maidah 51? Could this be the real root cause of terrorism?